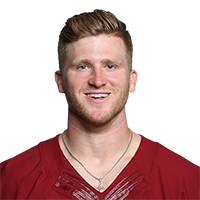 Published: Aug. 16, 2018 at 11:03 p.m.
Washington Redskins kicker Dustin Hopkins splits the uprights to give Redskins last-second win. Published: Oct. 30, 2016 at 12:43 p.m.
Washington Redskins kicker Dustin Hopkins hits game-tying 40-yard field goal. Published: Oct. 11, 2015 at 04:06 p.m.
Redskins Dustin Hopkins 52-yard field goal good to send the game into overtime.